Zombie Games, Tv shows and Movies have always got a lot of credit and Zombie games are an instant hit in every type of Gaming platform. And in Android too there are thousands of Zombie related games in Google Play Store. But i am listing out only Top 6 of the Best Zombie games which i have sorted out after playing almost all the games around downloading and trying them one at a time. So download these Zombie Games and trust me you will be addicted to everyone of these games till you come to the end. 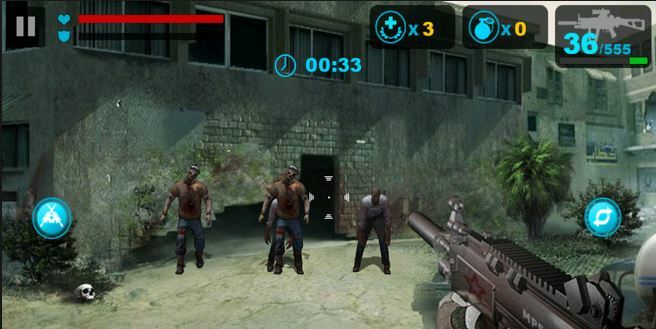 It is one of the best Zombie Shooting games in Google Play Store at the moment. With the presence of 14 types of Firearms to choose from and unlock as we progress in the game and with 3 world maps, 21 classic scenes and 126 levels it is a game which will keep you glued for a very long time and a good time pass if you are traveling. With 14 types of Zombies and a Evil Scientist who comes at the end of every Scene and the most irritating type of Zombie is the Doctor Zombie who teleport and makes life difficult for us. This is a very entertaining Zombie shooting game, the game is based on Hollywood and the place is LA where the various stages are in the form of Movie shootings in a Hollywood style setting, there are 30 wicked and wild weapons to shoot, slaughter and blast the zombies and there are 20 different movies and 10 unique game modes to choose from. This is an App from Gameloft and it will surely entertain you. The name sounds a little confusing but it is literally Plants fighting off Zombies from entering our house, we have to protect our house from invading zombies with the help of Plants by placing them around our house and stopping them from entering our house. 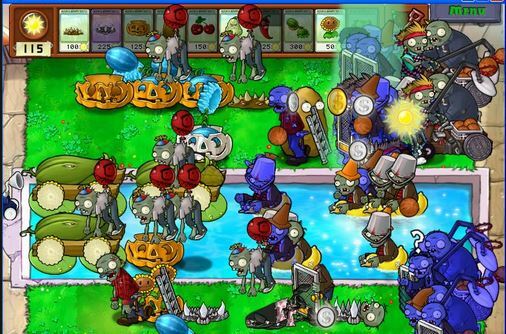 We have to fight against the 26 types of Zombies attacking us with our 49 zombie-zapping plants. There are 50 levels of Adventure modes to be crossed and this is one interesting game to be played and will surely get you addicted. 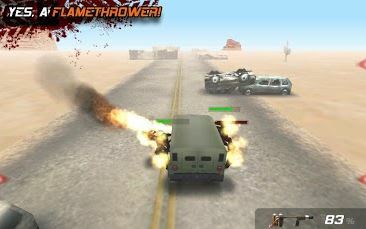 This is a different type of Zombie game which includes the thrill of Car Racing and at the same time Skill at Shooting is required to tackle the Zombies and also to drive around wreckage. There are guns to be unlocked and Cars too, the unlocking of guns and cars is free and we do not have to pay for anything as we progress into the game we can unlock guns and cars. It is a very exiting game mixing the thrill of Racing and the Zombie killing frenzy. This is complete Zombie Shooting game where Zombies keep coming at you and you need to shoot them, there are many guns to be unlocked and it is exiting but frankly speaking i did not like this as much as i did the rest of the games in this List, i am including this just for the reason that it is the most downloaded Zombie game. You might like what i don’t, so download it and keep killing. This is a zombie game where there are no guns and we need to kill like in the good old days with Swords and tricks. It is a zombie game but you can compete with your friends online on a one on one match too. 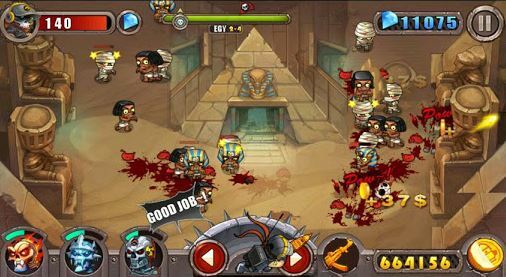 It is a very interesting game with good graphics and addictive. 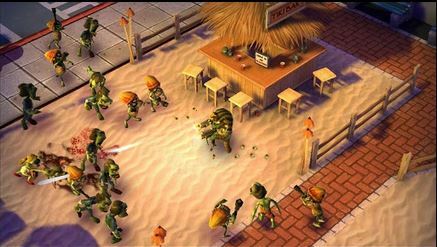 It is a strategic game where we need to set up defenses to protect ourselves against zombies. 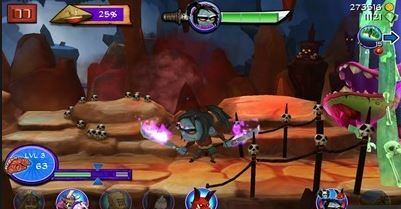 weapons, abilities and Magical powers can be upgraded as you keep progressing in the game.